Uniforms are appropriate in many workplaces. Wearing uniforms to work can have many advantages. Whether you’ve accepted a job where you’ll need to wear a uniform or if you’re involved in deciding whether to change your company’s dress code to require uniforms, it’s important to realize that there are several benefits associated with this type of workplace attire. Wearing uniforms to work can keep workplace clothing expenditures to a minimum. When you can wear the same thing every day, or choose among a few uniform attire options, there’s no need to purchase a large number of different outfits to maintain variety in your daily wardrobe. Instead, you can complete your work wardrobe with just a few pieces of each uniform item. Additionally, most uniform selections are wash-and-wear, meaning that you’ll probably also save money on dry cleaning. The fact that your options regarding what to wear to work are limited can make the process of getting ready to go to work much faster and easier. 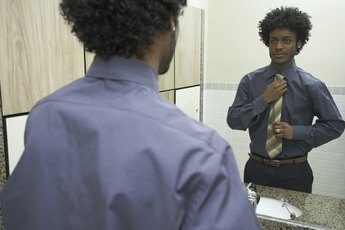 Just think of how much time you’ll save when you don’t have to spend time every morning trying to decide what to wear to work that day. Uniforms featuring a logo and corporate colors can really help to build a company’s brand. When you wear apparel bearing the company’s logo every day, you will become, in effect, a walking billboard for the organization throughout the work day, as well as on your way to and from work. The increased visibility resulting from employee uniforms can serve to strengthen the company’s image and increase brand recognition. 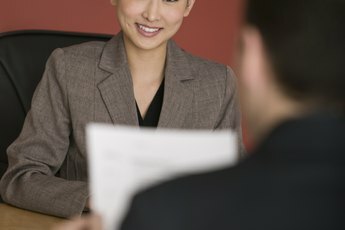 Can I Go to an Interview Wearing a T-Shirt? How Can Inappropriate Attire in the Workplace Affect Women?